United Pet Group of Earth City, Mo., is recalling about 158,000 Top Fin Power Filters for aquariums in the U.S. and Canada. A conductor on the pump motor can become exposed and electrify the aquarium water, posing a shock hazard to consumers. This recall involves five models of Top Fin Power Filters: 10, 20, 30, 40 and 75. The filters are black with a trapezoid shaped top. 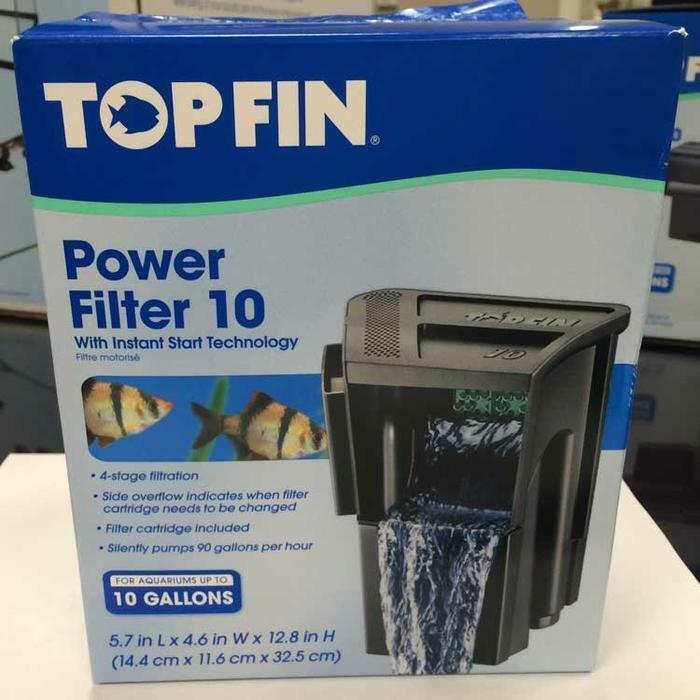 The words “TOP FIN” are molded into the top of the filter. The filters were also sold as part of Top Fin 5.5 and 10 gallon LED aquarium kits. The filters, manufactured in the U.S., were sold exclusively at PetSmart stores nationwide and online from September 2015, through December 2015, for between $15 and $64. Consumers should immediately stop using the recalled filters, unplug them from the power supply, remove from the aquarium, and contact United Pet Group for a free replacement power filter. Consumers may contact United Pet Group at 800-338-4896 from 8 a.m. to 5:30 p.m. (ET) Monday through Friday, or online at http://www.unitedpetgroup.com/top-fin-safety-notice.jpg for more information.